Come Play With Me is a brand new label/singles club launched to celebrate all that is alive and well in the thriving Leeds music scene. This is their initial offering, not coincidentally featuring a live recording from hometown hero David Gedge’s 'other' band. Gedge, of course, still treads the boards with The Weddoes (Wedding Present for the uninitiated), who started their own 'singles club' back in 1992 by releasing a single every month consisting of an original A-side and a cover on the flip. ‘Come Play With Me’ was one of those singles. 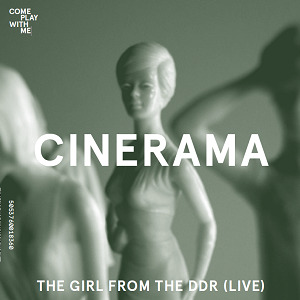 Cinerama jettisons most of Gedge’s trademark guitar onslaught for more strings in a baroque pop setting. 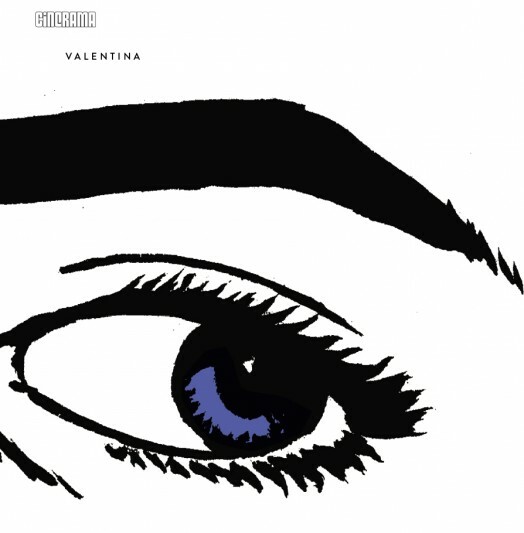 This past May, they reimagined The Weddoes’ Valentina album to great success. A concert at Islington’s O2 Academy followed (on June 6), from which this live recording was drawn. Pianos, strings, and a sadly off-key vocal from Gedge show him playing the lounge lizard with a John Cale hangover. Perhaps that’s what was intended, but it doesn’t work for me. It all feels a bit of a shambles and overly schmaltzy. Maybe you had to be there. Katie Harkin’s cover (of an Apostle of Hustle song) on the flip (get it!) starts out like one of OMD’s ‘Joan of Arc’ songs from Architecture & Morality – ominous, hesitant, nebulous - but then eventually evolves into a meandering, acoustic strumalong that sounds like it’s still trying to emerge out of the demo stage. Throwing some unidentified newscast or some such spoken word bits in the background only adds to the confusion. Let’s write this off to birthing pains and wish Come Play With Me better luck with future endeavours. It's a worthwhile venture aimed at helping new Leeds artists get their music out to a wider audience, with Harkin's proceeds going to benefit the disabled (via Sensory Leeds). I only wish their opening salvo was as worthy as their lofty intentions.